Chapter 1. The Starting Point: What Is Food Hygiene? 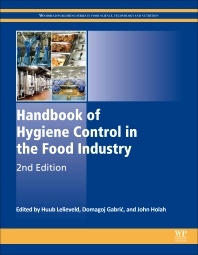 The book is written by leaders in the field who understand the complex issues of control surrounding food industry design, operations, and processes, contamination management methods, route analysis processing, allergenic residues, pest management, and more. Professionals and students will find a comprehensive account of risk analysis and management solutions they can use to minimize risks and hazards plus tactics and best practices for creating a safe food supply, farm to fork. Dr. Domagoj Gabrić received his M.Sc. (2006) in food engineering from the University of Zagreb, Faculty of Food Technology and Biotechnology (Croatia). He earned his PhD (2011) in Food Science and Technology within European (EU-FP6) Project. He held a postdoc position at National College of Veterinary Medicine, Food Science and Engineering (ONIRIS) in Nantes, France. In 2014 he established a “FoodSciTech” Consultancy based in The Netherlands, advising on food science and technology and providing hands-on execution services. He focuses on innovative, emerging technologies in both liquid and solid food processing as well as in hygienic design of such processing. Dr Gabrić is the author and/or co-author of many research journal articles and book chapters in the broad area of food science and technologies.